Goooooood morning afternoon evening and night. Today is a Wednesday so as usual, its wine night. I bought this particular bottle as part of my ongoing quest to open my families horizons on the wine world. We have been drinking a lot of Australian stuff as of late so I picked this wine which is a more “fruity” wine as a way to transition the usual fruit forward wines of the new world into a more subtle wines of the old world. I also used the aid of the great equalizer…. Behold! Your wine! What is it? 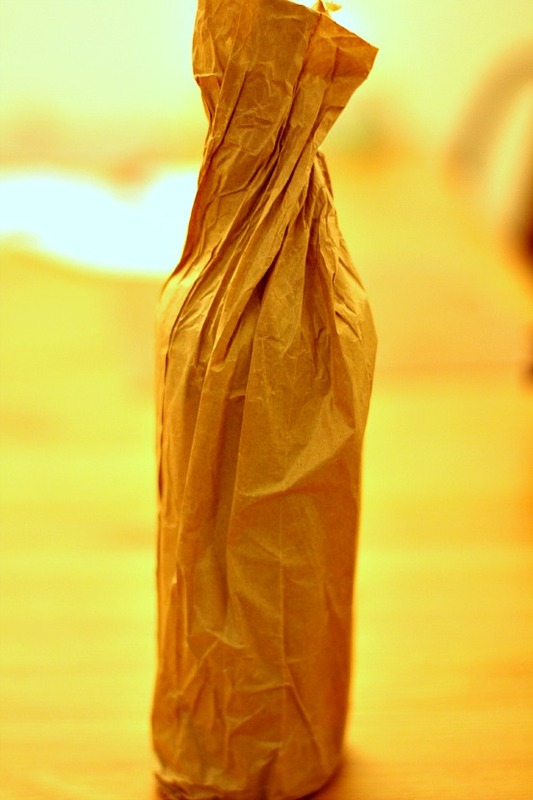 Well, you should know, it’s in the title, but one of the best ways to try a wine is to remove your preconceptions with the humble paper bag (or as I call it, the great equalizer).